We have a certain respect for area rug cleaning. When dealing with high end natural fiber materials like this you must ensure proper handling and cleaning. Do not treat your area rug like wall to wall carpeting, this can and will ruin your precious floor covering over time. Clean rugs last longer, they noticeably brighten up your home. Virtually every area rug has a long list of dirt and soils you wouldn’t think existed by just looking at them. Get rid of all that and have a cleaner, brighter rug in your home by choosing us to properly clean them. If your rug is too large to drop off or you are just not in the mood, give us a call and our professionally trained staff is happy to pick up your rug for its scheduled cleaning, best of all, most of the Orlando and surrounding areas get FREE pickup. Give us a shout anytime and let us know what zip code you are located in and we can get your area rug picked up as quickly as possible, at no charge! Prior to taking the rug from your home, we will review your specific needs as well as, inspect the rug to ensure that nothing has been missed. After all, your rug should return to your home exactly how you want it; looking and smelling brand new. We take a different approach to the dusting/dirt removal process. Even the best looking rugs have been known to pull as much as a few pounds of dirt/soil out, and we do this before the cleaning process. We believe that the dusting process may be the most important part of our detailed cleaning process. We specialize in removal of pet odors such as dog dander as well as pet urine. We use our spacial submersion style cleaning which soaks the rug in order to breakdown the urine salts that cause the odor. This process can take many hours depending on the severity of the urine saturation. This tedious process is needed for proper extraction of any urine odors that are emitting from your area rug. Though with these proper techniques, you can rest assure that your rug will be returned odor free. After cleaning, your rug goes through a final inspection process to ensure that it is perfectly clean and in the best possible condition before it returns to your home. When we return your rug, we will replace it to your liking. Contact us today for a quote on your area rug. We understand that price can sometimes be a factor in decision making. And being that you can go to the store and rent a rug cleaning machine for $50 may seem like a good route to go. Though the only way to properly clean an area rug is to make sure it is flushed through the rug not just a surface style cleaning similar to carpet cleaning. Using the hot water extraction method also known as steam cleaning can ruin your valuable rug beyond repair. 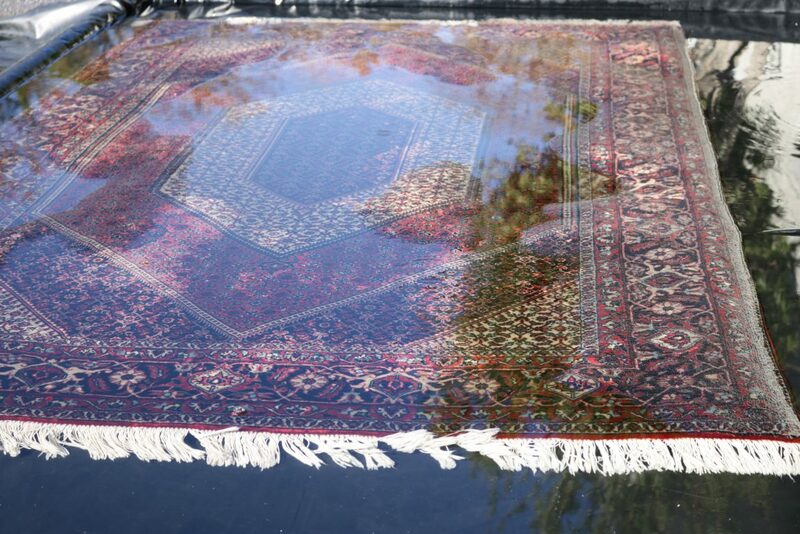 Our oriental carpet cleaning crew never uses hot water on your valuables. 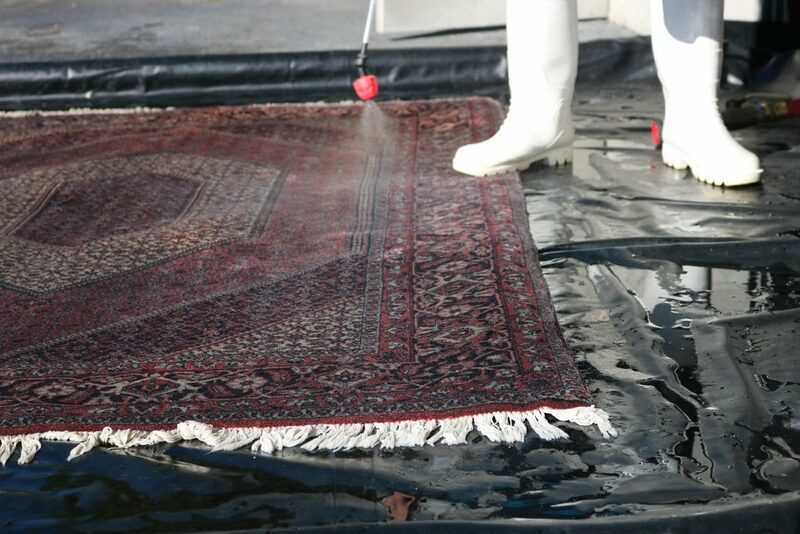 We only use our submersion style cleaning process on all rugs we deal with. It is very important that the proper clenaing process is used or your highly valuable rug can fall apart, change colors, loose dyes and many other impossible to repair problems and in only a few years. With the proper cleaning process then your rugs can literally last a life time and beyond. We have cleaned many rugs over 50 years old and much older. So make sure to choose a company that is highly educated, usually the proper tools and never uses hot water to clean them. 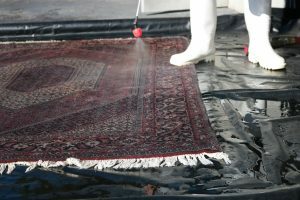 As you can see from the picture to the left, we thoroughly pre spray the rug, this is done before the actual washing of the rug. We apply the best cleaning solution for your rugs needs as not all are the same. Some may require a odor removal cleaner, others may need a dye migration prevention cleaning solution. We have a variety of products at our disposal and the knowledge to apply them properly. We can’t stress enough the importance of a proper cleaning solution, as high PH can damage your rug or even replicate a bleaching and remove the set dyes that reside in the rug fibers. In order to ensure that we are continuing to provide the best service possible using the best solutions and methods for each individual rug we wash, our company constantly stays up to date with continued education and training. While our methods and solutions have been part of our process for many years, we still test new products and try out new methods and equipment regularly. It is our goal to make sure that we are doing all that we can to provide the best service experience possible for each and every one of our customers! When you choose our company for your area rug maintenance needs, you should feel confident that you have chosen a company staffed with friendly, knowledgable employees who take pride in providing the best service experience out there! Part of providing the best experience possible is making sure our customers understand what our services are, how they are performed and what to expect. Any member of our team will welcome all customer inquiries, regardless as to if they are using our services or not. 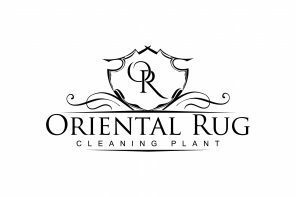 Our company is lucky enough to not only have a constant flow of new customer inquiries, we also have a very steady amount of repeat customers who have used our services and have chosen to make us their rug cleaners of choice! Upon initially contacting us, most customers will have many questions for us. But, we not only encourage new call questions, we also encourage customers whose rugs we are in the process of working on to ask any questions they may have throughout any portion of the process. There are some basic questions we will ask most customers to help us best advise you on proper services and prices. Some basic, yet helpful questions we will ask would be What material your rug is, What size the rug is, Has it been cleaned before and Are there any particular concerns. These questions help us to ensure we are advising you appropriately. 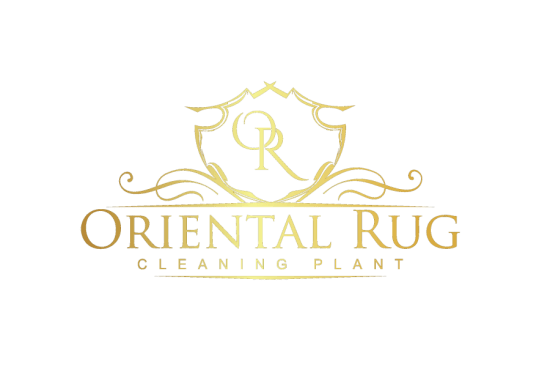 When you call into a rug cleaning facility and ask some questions of your own, make sure the company used a full immersion technique with only cool water, there is a full inspection performed, they perform issue specific treatments and that a centrifugal drying process is used. Any good cleaner should welcome any and all questions!